Following is a sample of work I have done with some small business clients. I have also worked with individuals on website and content creation as they have started up their own businesses. With over 15 center locations, Teaching House is an English-language teacher-training provider of Cambridge CELTA courses (Certificate in English Language Teaching to Adults). I produced a series of videos highlighting a number of their centers and programs. 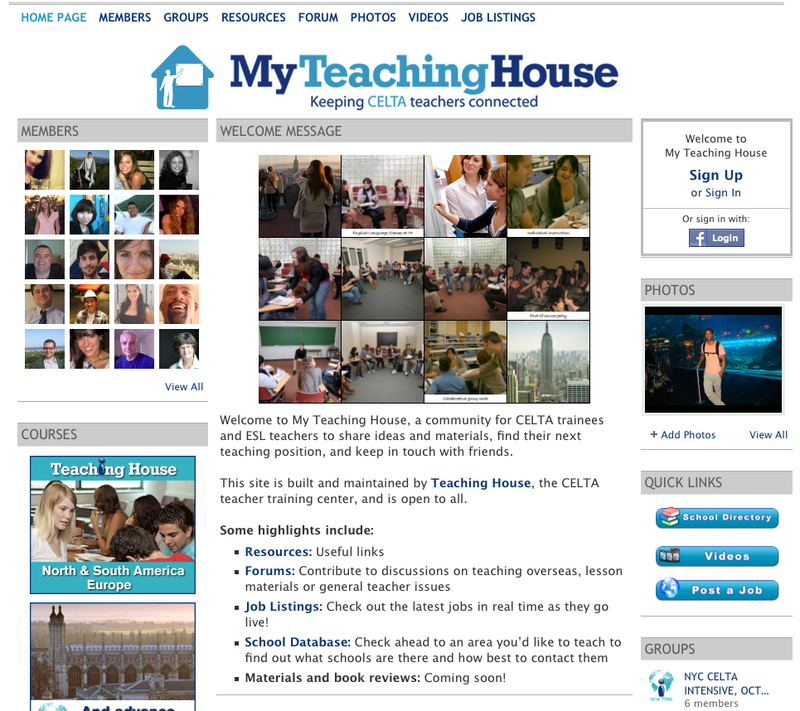 I also designed and set-up My Teaching House, their online interactive community for students of Teaching House. This community for CELTA trainees and ESL teachers is a place to share ideas and materials, find their next teaching position, and keep in touch with friends. As part of one of the world’s largest language schools in the world, I produced a number of videos for the New York City location to help promote their Summer English language programs. I produced client testimonials on behalf of CLUTTERCRASHERS, The Organizing Company, which provides busy individuals, professionals, and companies organized spaces unique to their needs.